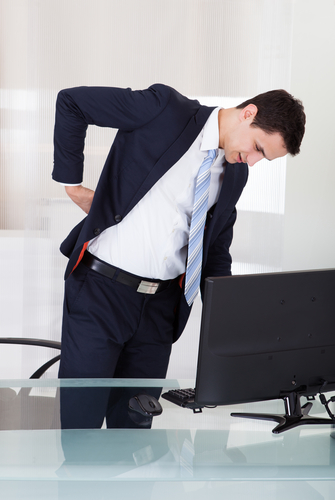 It should come as no surprise that sitting hunched over in front of a computer for hours can cause back pain. However, most people are unaware that even brief instances of slouching can affect spinal alignment. Fortunately, treating back pain caused by poor posture is easy. With a quick visit to your chiropractor and a few simple spinal adjustments, you will feel as good as new. Below, the friendly team at Chiropractic Associates of Platteville, Wisconsin, explains how poor posture causes back pain, so you can combat it once and for all. The human spine is incredibly flexible, allowing you to perform countless maneuvers like bending over and turning your head independently. When you perform a sudden movement that challenges the spine’s flexibility or remain in a position that places stress on individual vertebrae for an extended period, the spine uses misalignment as a coping mechanism. With this response comes back pain, neck pain, headaches, and limited mobility. Spinal misalignment also inhibits circulation throughout the body, which has various negative side effects of its own. For these reasons, it is essential to be aware of your posture at all times. Sit up straight, use chairs that provide adequate lumbar support, and wear shoes that fit well. If your spine becomes misaligned as the result of poor posture, a few simple chiropractic adjustments can help. After assessing the extent of your spinal curvature, your chiropractor will perform quick, manual adjustments to realign the vertebrae. For most patients, this results in immediate relief. However, if you have had poor posture for many years, it may have caused severe and lasting damage. Your chiropractor might recommend a more intensive treatment to counteract the spine’s defensive positioning. If you suffer from chronic back pain and think poor posture may be to blame, turn to Chiropractic Associates of Platteville for diagnosis and treatment. Their seasoned team takes a holistic approach to treating patients by addressing pain at the source and preventing it from returning in the future. You can learn more about the comprehensive chiropractic care they offer residents of Platteville and the surrounding areas by visiting their website. To make an appointment, call (608) 348-3156 today.